The first weeks in a new apartment are always about comparisons: The living room is smaller; the kid’s room is a little bigger. Our room is narrower and contains only one closet that we must share (uh-oh) but also maybe six inches longer, and in those inches, we no longer routinely stub our toes on our dressers while fumbling around in the morning like the old people we’ve unfairly become. The living room gets less natural light, but for the strangest reason: a massive leafy oak tree outside, something I’ve walked by at the sidewalk level for over five years and never noticed. What is this, Brooklyn or something? The kitchen differences are, predictably, the most obsessively analyzed. For example, can we talk about the stove? It has not four but five burners and when I saw them for the first time, I nearly wept. Five burners! This is the small kitchen equivalent of the real estate fantasy of every New Yorker, which is to discover that their apartment contains a whole extra secret room, one that would make their sardine can conditions livable. Do you know what I can do with five burners instead of four? No seriously, do you? Because about five minutes after declaring that it completed me, I realized I had no idea what the purpose of the middle burner is, only that I welcomed it. Meanwhile, I need to urgently tell you something: Until about five minutes ago, I thought my favorite eggplant dip was called baba ganoush. You know the one, with the tahini and lemon and garlic? It’s not baba ganoush. Though they have in common smoky-cooked eggplant, baba ganoush includes pomegranate molasses, walnuts and tomatoes. This dip? Moutabbal. You seem really smart so you probably already know this. I, however, can’t believe I’m only now learning this for the first time. Why didn’t anyone tell me? Don’t people know that’s rude, like not telling me I have a parsley fleck in my teeth? I sometimes feel like being an adult is a series of moment like this, when you realize that you might, in fact, know very little and it makes you miss the unwavering certainty of world view of the almost-five set. I never thought I’d be able to pull off good baba ganoush moutabbal at home because I didn’t have a grill, smoker or, heck, even a fire pit over which I could char my eggplant for the perfect smoky roast. And I like my eggplant dips smoky. I found the perfect technique in David Lebovitz‘s latest book, and my favorite one yet, My Paris Kitchen. Can I tell you a secret? I know that we associate Mr. Lebovitz, a Paris dweller, with French cooking, but my favorite things that he makes are the things that he doesn’t have as readily available as he once did in the Bay area and misses terribly. Because he’s also a bit (just a bit!) of a cooking obsessive, I know he’s made kimchi, black-and-white cookies and even moutabbal a zillion times before feeling like they was ready for publication. We all win. He has us cook the eggplant by charring it over a gas flame (or a tiny, beloved fifth burner!) until it’s good and smoky, then roasting it the rest of the way in the oven, for voila! The most incredible cooked eggplant that just about anyone can make at home. From here, tahini, garlic, lemon juice and seasonings bring it together. Make a side tomato-cucumber salad and toast some pita wedges and I dare you to find a most satisfying last-August meal. One of the trickiest things, for me, about nailing down a recipe for this dip, that I called baba ganoush until about five minutes ago, is that everyone has a different idea of what the ideal might taste like. I like a lot of smoky char, tahini and lemon; I try not to overwhelm it with minced garlic, which gets much stronger after a day in the fridge. I like using olive oil to finish it, but not in the dip; I like parsley both mixed in and on top. A scattering of za’atar or toasted sesame seeds and sea salt are wonderful on top. Feel free to use this as a starter recipe and cooking technique, then tweak it to your tastes. Finally, about the texture. So besotted I am with my new blender, I used it, but distracted, took David’s instructions quite literally to “blend until smooth” on Saturday night and within ten seconds, had made ba-ba-baby food. Which my friends, polite as they were, ate anyway. The next time I made it, photographed here, I just pulsed the mixture in little bursts, but it still became a touch too smooth for my tastes. Want to know what I’ll do from this day forward? Hand chop it. My mother-in-law does this with her eggplant caviar, and it’s the only way ensure that you get a lovely texture that’s not overly pureed. Often the fifth burner is for a fish kettle. This looks absolutely fantastic! I have an obsession with anything eggplant-related (and that smokey eggplant flavor is to die for)! Will definitely have to give it a try. Moutabal usually has a dash of Greek yoghurt as well in it. I used to live in the Middle East. I find that Lebanese/Syrian Moutabal which is what is most common in the Middle East has very little yoghurt but the Turkish version has much more so it’s creamier. P.S: love your website & love your book! This is the kind of dip I’d happily eat for dinner, love that smoked eggplant! How is your gas stovetop so CLEAN? And Jane, what is a fish kettle? Kate — It’s one week old, is how. :) True story, after a bunch of people asked me about keeping a white stovetop clean, I added my cleaning tip here. B) This reminds me that I need to make baba ghanoush soup! I find that the fifth burner, if you are so lucky to get one, is perfect for keeping sauces warm, or melting butter at a lower temp so you don’t accidentally burn it when you’re inevitably not paying attention, and other such tasks. Thanks for the info. I made Baba Ganoush last year, but I guess I did not have the pomegrante stuff, so I totally made moutabbal. Now I will have to ask my favorite Mediterranean restaurant downtown if they put pomegranite in their baba ganoush. Hmmmm. I got some baby eggplants (Japanese?) in our veg box last Monday and I still have not done anything with them. I might have to try this recipe, but it will be more laborious to scrape the flesh out of 10 zucchini-sized eggplants rather than the big purple kind. Decisions, decisions! Also I slow char the eggplant on a cast iron pan with zero oil on the stove on the lowest possible setting for a long time on each side until it is “ready”. I think it may be the time waiting that makes me think it is the smokiest but it may just be! Please tell me about the slow roast. Do you follow with baking in oven. That sounds wonderful! Can’t wait to try this. I’ve been making hummus a lot recently and though it tasted good was a bit displeased with the “chunky” nature of it. And of course, I came here because I thought you had a recipe for something called ethereally smooth hummus. You did. And of course, it was perfection. There is no other way but to remove the skins as tedious as it may be. Here’s somebody’s blog entry describing my favourite Turkish style Moutabal(and other dishes) at Kosebasi (orginally an Istanbul restaurant with branches in Dubai and Abu Dhabi). There are pictures too. According to this they add both Yoghurt and Labneh. If you haven’t tried Labneh, it’s a cheese which is really just a thick version of Greek yoghurt. They make out by straining Greek yoghurt in muslin until it gets to a cream cheese consistency. Looks delectable! sorry if I missed this somewhere, but just curious – which blender did you get? I’m on the market, or daydreaming that I’m on the market, at least. Love me a middle eastern dip. That is for sure. Great post! that looks incredible. i love love love eggplant dip. So, I have been making this for years. I had the same problem with the baby food issue for years! You can still use your cuisinart! The only thing is you have to change out the blade for the dough blade( all plastic) . It changed everything! Will only use that now. It finally has that true Baba ( or egglplant dip) consistency. I found that tip on another recipe. I’m unfamiliar with moutabbal but man does it look delicious! Also, congrats on the move! Five burners sounds awesome. Do you think I could freeze this? I have two fresh eggplants and we are heading out of town soon. And thank you so much for your serving suggestions. I love your recipes, but am terrible at putting together comprehensive meals. Meghan — I’d expect this to freeze well. Looks like perfection! I chop part of mine by hand and process the rest to get the ideal texture. Oh noooo! Deb, you just broke my heart! This is my favourite dip, and not only did I also call it Baba Ganoush, I first decided to do it because I just loved the name. Now I discover that I have never made, or even tried, the real Baba Ganoush? And that it’s very likely that it doesn’t taste as good as this fake Baba Ganoush with the weird name? Moutabbal, really? Mmmm, my favourite kind of dip, but I have never tried a smoky one yet! Gotta test this recipe asap! Mmmnm that looks so so delicious! I love eggplant dip, I could just survive off spooning it into my mouth and nothing else! Ok, maybe not, but I still love it! This looks amazing! Deb, if you love eggplant you need to try the Persian kashk-e bademjan. I think kashk (a kind of whey) will be appearing in more Ottolenghi recipes soon as he recently declared it one of his favorite ingredients. My daughter’s severely allergic to sesame seeds (we found out, actually, from giving her one bite of Baba Ganoush, although I guess it’s called Moutabba?l). Anyway, is there a substitute for tahini? 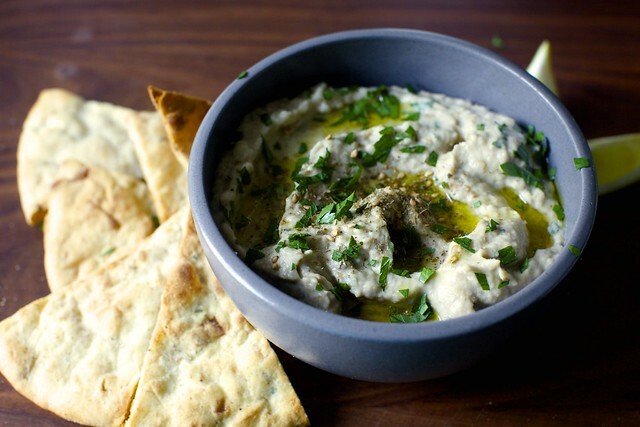 I love, love, love eggplant dip (and hummus), and would like to keep eating it. Thanks! I have substituted peanut butter in hummus when tahini wasn’t in the pantry -worked fine, slightly different taste, but I have such a heavy hand with the garlic and cumin, it was hard to tell why! I also have a sesame allergy! I find the peanut flavor too powerful to substitute for tahini. When I make hummus at home (which is frequently!) I omit the seed/nut element and often add a different flavor in the food processor such as roasted red peppers or kalamata olives. I literally just made the recipe from his website last night to use up some grilled baby eggplants and roasted garlic. You’re right on the overblending, mine would have been better with your suggestion of hand chopping at least some of it, and probably with a little fresh garlic along with the roasted I used. Any chance you’d try to make a real baba ganoush? The pomegranate molasses and walnuts are two of my favorite parts of a roasted red pepper dip (muhammara) I absolutely love and that people go nuts for at parties. The molasses is such a unique flavor and I’m always looking for new ways to use it. I looked at the photo of your new range on the Instagram link. Not only do you have 5 burners but your stove top has a splendid continuous grate top. This allows you to shove heavy pots or pans away from your hob as you wish to control how stuff cooks in your pans. Or if there is too much heat even with the lowest. Flame, you can shift the pot or pan half off the flame. The 5th burner looks like it may be a simmer burner, where you keep a pot of stew or soup simmering for hours. How is the oven? Curious minds want to know. I love eggplant, so will definitely be making this dip soon. Very soon. This makes my brian feel foggy, because I’ve always adored what I THOUGHT was baba ghanoush! Please tell me now, what IS baba ghanoush, since it’s not what I’ve always thought? …I have also just learned that my favorite eggplant dip is not baba ghanoush. I don’t even know how to say Moutabbal. 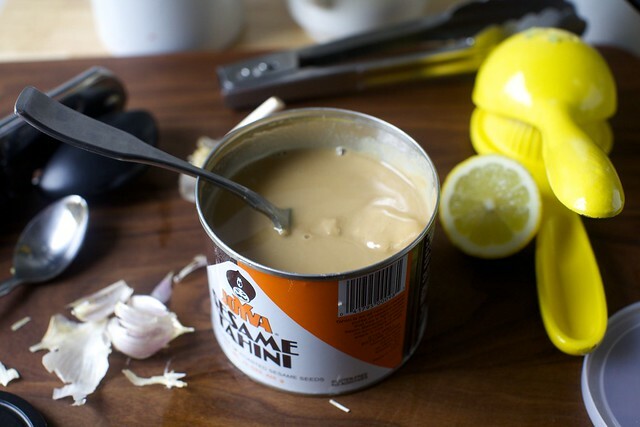 Ingredient question: I love tahini, and buy the same brand as I see in your photos, but (even though I don’t put it in the fridge, and it’s not old as the hills) it separates, and the solid part gets so hard it is almost impossible to stir the oil and the solid back together. When I try, it sloshes everywhere, it doesn’t actually mix, and it drives me crazy! Plus, it means that I eat less tahini than I want to be eating. Any thoughts, Deb? anyone? Thanks! Gail — I love the brand but it drives me bonkers as well. I never get it stirred well. But, I think I finally did this time, it just took 10 minutes. I pulled up all of the cement-textured stuff with a fork, scraping and scraping, and mixing and when I went back to make eggplant dip a couple days later, the consistency was still, miraculously, even. So my tip is: keep mixing, get it all. It’s a pain but it can be done. Stephanie — It might be worth trying it with sunflower seed butter, if other seeds aren’t an issue and you can find it without sugar. Or almond butter, ditto on the sugar. I really need to start doing this. It’s like I’m not too lazy to complain about separation but I am too lazy to try this? Tsk-tsk, Deb. hehe. it’s a life changer! i had a major “adulting achievement unlocked” moment the first time i did it. naturally the first time came after a dribble of sesame oil escaped the top of a tin while trying the fork scrape/mash method, and then caused the entire tin to slide off the counter during a forceful scraping, splashing sesame goo in its wake. on the day after our housekeeper had been. i was ashamed and resolved to find a better way! This may be a dumb question, but how do you char the eggplant over a gas flame? Just hold it over the burner until it chars, or lay it on the burner, or …? Thanks! My favorite eggplant dip is baingan bharta, which my grandmother makes with tomatoes, garlic, ginger and plenty of chilis, the perfect spicy counterpoint to eggplant’s inherent sweetness. I make the Indian version of this, bharta, every other week or so. We don’t have gas, so my tactic is to use the toaster oven. I put it on some high temp, 450 maybe, and try to turn it every 10 minutes if I’m puttering around the kitchen. At the beginning, the eggplant is tall and chars from the top (and bottom) heat elements, eventually it slumps away from the top, and the bottom element turns off because the oven is already hot. This gives a nice char and allows the skin to come off in one fell swoop. We usually have to cook the eggplant again, mashing in onion, cilantro, tomato and spices, but it goes pretty fast. It does freeze well if you have extras; I made 4, large eggplants last time and we finished it all. I, too, was under the impression that the above dip was called baba ganoush… I’m starting to think that the tomato and pomegranate molasses elements in the baba ganoushes I’ve had have been sorely weak. Or, which is more likely, that most every one else (restaurants included) has been calling their dips the wrong name. Oops! Will definitely be making this soon. Gail- if you get tahini in a jar with a screw top lid, storing the jar lid-side down in the fridge might stop the separation. I use this trick for natural peanut butter, though haven’t tried it on tahini since learning about the whole upside-down storage thing. MK- turn the burner on to low, or medium low (so the flame is just below or at the same height as the grate) and set the eggplant right on it. You want the flame to touch the eggplant skin a little bit, but not overwhelm it (as in, you don’t want to set it on fire). Allow the skin to turn black on that side, then rotate the eggplant. Repeat until the skin is charred all the way around, or as completely as possible (the more charred the skin is, the smokier your dip will be). Also, turning on your vent or opening a window is probably a good idea. Hope that helps! Wow! you definitely just hipped me to some news. i thought for sure your recipe was Baba Ganoush which I loove! I have yet to make it myself but now I am intrigued and want to make both Baba Ganough and Moutabbal for a side by side tasting to see if I can tell the difference. Then, I can use my new super powers at parties and restaurants when people mistake the two :-) Thanks for sharing! I’ll be writing a blog post about these two dips in the future after I’ve perfected my own recipes for both. Catherine C. — thanks so much! I appreciate it! Call it what you will, for me eggplant dip is a seasonal treat, not only because eggplant is at its best in August/September but because that’s when I cook over an open wood fire–once you’ve had eggplant cooked on wood, the gas burner is never going to seem quite good enough (sorry, I’ve tried just the technique suggested). For my eggplant dip, I roast a few heads of garlic on the fire as well as well (in foil, which I realize is a bit wasteful). I’ve served it to both Turkish and Lebanese friends who have begged to take home whatever was left (not much)…But I do envy your fifth burner, Deb. I know so many people that don’t like eggplant and I just don’t get it. I also don’t mind, because, hey, more for me! I love making baba ganough but have never even heard of Moutabbal. I will absolutely have to try this. Thank you, thank you! I don’t love eggplant, buuuut I could get behind this! Kate – http://en.wikipedia.org/wiki/Fish_kettle Maybe just a thing in England! Gail and Deb – I also buy that brand of tahini, but when I open a new can I remove everything to a larger vessel (sometimes even my kitchenaid bowl if feeling super lazy) to mix with abandon without sloshing. Yes it’s a pain to dirty a dish and scrape back in to the container, but I find it way less stressful and annoying than the sloshing or undermixing. Once integrated I store in the fridge and do not have separation problems. I did buy some pomegranate molasses though, & it is very good. Sweet & tart together. On the 5th burner – Won’t it be blocked by other pots? Your fifth burner is probably a Shabbat flame – instead of having a blech to keep your cholent warm. My very Catholic but honorary Jew BF had one in her old house and I lusted after it. More than a 5th burner, you must have a larger oven! That would be the biggest deal to me…if I were you. I have a wall oven and my half sheet pan fits but can’t be used because there isn’t enough perimeter space to allow heat to circulate. I love the height you get with a wall oven but wish I also had a regular range instead of a cooktop (mere 4 burner)…then I’d have two ovens! I love dips with toasted pita, and this one sounds and looks delightful! I make this a lot: I grew up in a Lebanese family and lately I’ve refined it to take the tahini down and also not allow the garlic to overpower it. It’s much better with the lemon and salt accentuating the lovely smoked flavour. I call it Baba Ghanoush. But I guess that’s just where I come from. I didn’t know the dip I loved so much was called moutabbal either! Thank you so much for cluing me in. I’m jealous of your fifth burner. Love this recipe and can’t wait to try it. Check out Canadian House and Home magazine, September 2014 issue, page 70 and it shows your Smitten Kitchen cookbook in a photo of a small space kitchen. How cool is that? I love eggplant and the fact that you made it into a dip is genius! I really can’t wait to give this a try. I’m thinking of bringing it out for our first tail gate!! Regarding Tahini – I had the same issue with that brand (joya?) and recently switched to whole foods brand. It stays mixed! Even in the fridge! And it tastes good, too. Savory serendipity occurred and I had an eggplant from the farmers market in my basket before I read your recipe! This dish is fabulous! I paired it with a zucchini and kale frittata and a mixed greens yellow peppers salad. My husband and I so enjoyed the subtle middle eastern edge to an easy summer meal. I also added more salt and lemon; omitted the garlic, as I’m sensitive to raw garlic and didn’t have time to roast it and just chopped/mashed the eggplant, skin on, leaving it quite textured and more smokey. Deb, Im new to Smitten Kitchen and Im loving your blog~ Thank you! This dip sounds dreamy!! Love the recipe! Cannot wait to make this. Wondering, did you consider moving to the BK for a bigger kitchen. Did I miss that discussion in an earlier blog post? Eggplants are truly incredible plants! This looks delicious! Okay, you’ve just changed my world. I’ve always thought this was baba ganoush as well! It’s like finding out Sven is really called Kristoff. Btw, been doing some very preliminary research on this baba ganoush controversy. It seems to me like what you call it may depend on what region you are in, and that perhaps this would still be considered baba in certain place like Egypt and Israel. LOVE smoky eggplant dip but never thought of making it at home, since we have no grill and electric burners. Will have to try the toaster oven method! PS – noticed your new Vitamix in the background of the last few posts; congrats on the new blender. Took us forever to take the plunge but I love ours — it has been my secret to making smooth hummus without peeling the chickpea skins. Would be curious how you think Vitamix vs peeling method compare as far as hummus texture. Roasted eggplant dip is awesome. I just made a similar one but also added beets for an awesome pink color and a touch of sweetness. I also had the same sort of trouble after opening my tahini, it would separate and the bottom portion become hard which made it almost impossible to stir up again. I found if I used the whisk of my kitchenaid hand mixer, it fit right into the jar and then I could carefully and thoroughly mix it up. After that, it has not separated again. It took some time and patience and I had to be careful, but the results are way worth it. On charring eggplant, I would never do it over a burner again. When the eggplant splits and spills its innards, you will have a half-hour clean-up at least. Broil them in the oven instead. No muss, no fuss. I make this dish regularly (without a recipe at this point). If not quite as smoke-y enough, I like to add tiny pinches of smoked paprika to taste – perfection! I was first surprised that you have to bake the eggplants, then I noticed that these are regular eggplants. I am from Bangladesh and stovetop smoked eggplant is a very common and dear ingredient in our kitchen. We usually use long slim eggplants and gradually char them on stove(the same procedure you used here) for about 15-20 minutes. the slim and long ones are cooked thoroughly this way. We then remove the skins, mash them lightly with hand, add some finely sliced shallots, coriander leaves and green chili; salt and mustard oil to taste. We call it mashed eggplant or Begun Bhorta. Try this Bengali recipe, you may fall in love with it. We usually have it with rice, but you can suggest more ways that do not leave a messy hand afterwards. Try this tossed with penne and chili flakes…that has been my go-to camping meal after I realized that eggplants were made for campfires! Aww does that mean we don’t get to see the granite work surface any more – I did like that. The middle burner may be for a wok – is it bigger with more space between the burner and the suspending metal top? That is perhaps what it’s for – super hot, fast cooking. Lovely recipe. Oh my word I thought it was baba ganoush for my whole life too! Whoop! But this is my ultimate favourite dip so will be trying this out for sure! Gail et al: warm your tahini in the microwave – be sure to take the lid off, and don’t get it too hot. Then you can stir it easily in the jar, and it will stay stirred for quite a long time. 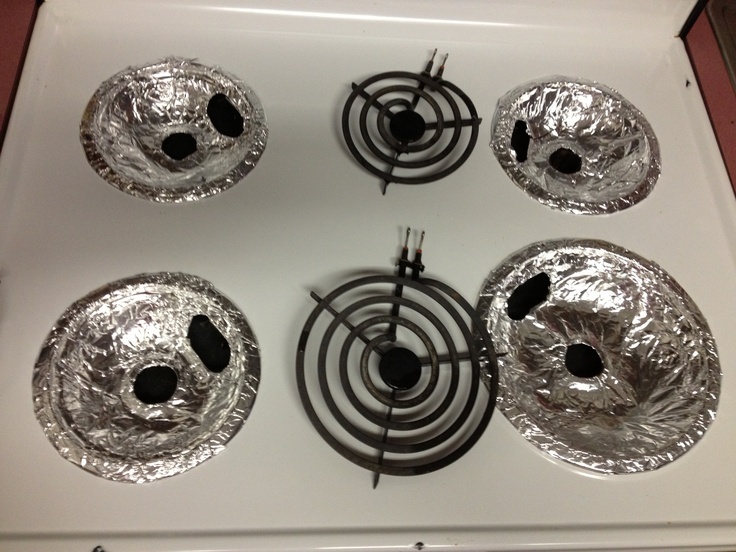 #76 Topol brings up what I immediately saw as the missing step (that I learned from an Indian recipe that requires the same “smoky eggplant” flavor): LINE the burners with ALUMINUM FOIL! You’ve thereby reduced your cleanup by 95%. Thanks for this recipe, Deb. I always thought baba ganoush was my favorite dip ever, but now I know better, and thanks to you, even how to make it! I have a favorite falafel shop in an odd spot in the Bonaventure Hotel in LA. Love their [smoky eggplant dip]. I used to tell the guy that I was striving to make it at home but never got the rich, smoky flavor. He’d just smile. One day after a late lunch as I was heading out the door, the secret was revealed. 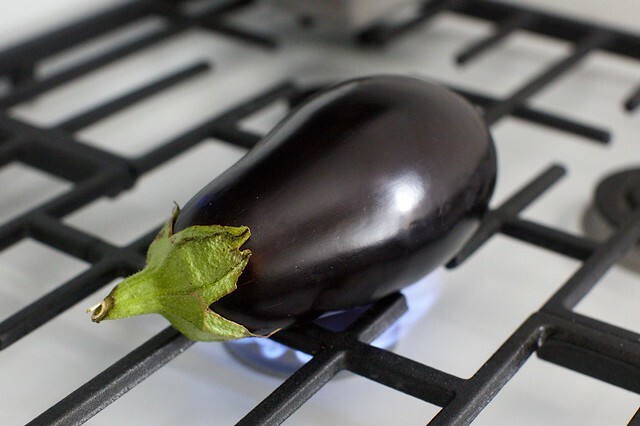 He had a beautiful eggplant balanced over the burner of his gas cooktop. I stopped in my tracks and stared. 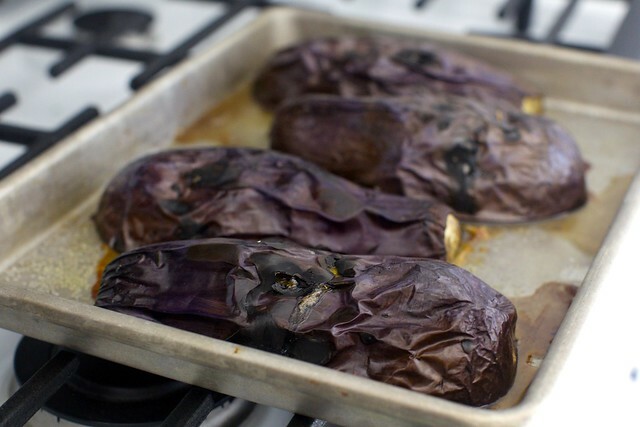 Ever since, I have been making [smoky eggplant dip], roasting the eggplant on my stove while I wash dishes. For me, inattention is part of the technique. If I hover, I won’t let it roast enough to get smoky. The smell tells me when to turn it. The new place looks great so far, Deb. Hope it feels like home. We had mouttabal in Turkey with spicy melted butter poured over. For dinner three nights running. Nothing is as good as this, nothing! What is this new blender you are so besotted with? We’re ready for a new one as ours ancient. I actually thought this was Baba G.too. When my mom, who lived in Isreal for many years said it wasn’t, I admit, I thought this was a case of, “she’s getting up there and doesn’t remember!” Now I’ll have to eat some poor defenseless crow and confess. I can’t wait to make the Moutabbal, smoke alarm be damned. Congrats on your fifth burner—–you’ll be inspired, I just know, no matter what anyone says it’s for. As long as it’s not for liver and onions and Lima beans (canned), this reader will be eager to try whatever you concoct! Mabel Tov on your new digs. Moutabba – shmoutabbal Let’s focus on your pita wedges for a sec here. They look verrrrry interesting – and much better than the doughy ones available at my local market. What exactly have you done to them? What brand are they? I forgot to say that I add my vote to those readers who would like more info on your blender. Please provide details on make, model, etc. and why you chose this particular one. It will be a huge help as I’ve been researching getting one and find it too confusing. And then along comes Deb to save the day. I await breathlessly for your recommendation. Blender — I bought a VitaMix. It was on sale at Costco. It still cost too much; I’m a little sickened by it still. I don’t do product recommendations because who am I to tell you how to spend your hard-earned money? And it’s not like I tested all the models out there. (Go to Cook’s Illustrated or Consumer Reports for a more thorough perspective. There are many good VitaMix competitors out there.) However, it is a wonderful blender, the best I’ve had. What really sold me on it was the 7 year warranty. My last blender cost $100 and last about 14 months. The warranty was 12 months. So, I was resistant to buying something else that would likely soon be more landfill fodder. Gyrf — They’re storebought, Kontos brand, but I do like them. No pockets. Toast up well. However, I’ve been wanting to do a quick, easy flatbread/pocketless pita recipe, perfect for the grill, dips, etc. What do you guys think, should I? Polianthus — I wouldn’t say that sourcing David Lebovitz means that I believe him to be the inventor of the dish or technique, anymore than Martha Stewart is the inventor of macaroni and cheese or raspberry cheesecake, both recipes I’ve credited her for in the archives. It simply means that it’s where I learned it this way of making it. It would be weird to pass over David, when I read it about it in his book, and credit everyone abroad who’s ever made it this way. It would sound disingenuous, right? Regardless, I don’t mean to quibble. But I do want to clarify what a recipe credit is an is not about. Rosita — It wasn’t granite; it was plastic. :) I do miss their unique photographic charm, but I don’t think I’d trade this brighter, roomier kitchen to get them back. There’s a counter here that has a marble or granite that resembles the old one; I’ll photograph on it soon. But the wood-topped cart I shot this on has better light. Nadira — I think that’s right. I was wondering why so many people suggest you can fully cook eggplants on the stove and realize that they must mean the narrower ones. Which grow here too; I could have bought them, but often default to ingredients that most closely resemble what most people get in grocery stores here (the big globe ones) so that the recipe will work for the most people. I could definitely see with long, skinnier eggplants that you could skip the oven step. Deliciously. If this is anything like baba ganoush I could totally go for some at (uhhh 9:00 a.m.?) I love middle eastern flavors! Lovely! One thing I do with my roast eggplant after cooking is let it cool and drain in a colander. It helps take away some of the water so I can blitz some of it (I usually do about half) and then hand chop the rest and get my preferred texture! My Vitamix is The Man. I love it. The only con is the long tall container, which the newer version has shortened and widened. Getting a spatula down around those blades is impossible and I waste a lot of goodness in there. Splurge for the newer model and you’ll be soooo happy- a worth it kitchen splurge. Hi! I love your recipes – but truth be told, the reason I subscribe to Smitten Kitchen is because I really enjoy reading your blog! I think you are very real and very funny!! Good stuff!! I really need to buy more eggplants! This looks amazing! I so vote for you to come up with a pocket-less pita recipe. Soon, please! Hah, I think everyone I know is making moutabbal and calling it baba ghanoush! I will have to try a real baba ghanoush in addition to this wonderful-looking dip! The puzzle of the 5th burner… Ha! I’m sure you’ll figure a=out an amazingly useful purpose. This looks wonderful, and I would gladly eat this with some toasted pita for a late summer dinner. I used to do the burner “burn” with eggplant, but found it much easier and a more thorough result faster if I put it in the oven up close to the broiler coils and broil it like I do chilies and bell peppers. It is so much faster and more complete. Try it. Also, I learned to make your dish in Israel and never used pomegranite. I think every ethnic group has their version. I’ve had it with yogurt, I’ve had it with mayonnaise! I’ve had it where it is so sour it lost all of it’s charm. I like it earthy and smoked and not so much garlic that it burns my tongue! It IS addicting… but then tahini is the best thing on this earth. Have you ever tried it as a sauce over baked chicken? Fabulous! Love this recipe. I’m Armenian with a Middle Eastern background. My grandmother and mom would make this and it was the best! Thank you so much for sharing this. Gail: When my tahini turns into cement, I scrape the whole business into the food processor and whirl it back to smoothness. It seems to stay mixed longer this way than when I mix it by hand, and it sure is easier! Re, tahini cement — I’ve even tried (and I mention this so nobody bothers) using an immersion blender. Woo-ee, I was so proud of myself for finally conquering it quickly. It missed a lot around the edges. Now I just stir until I don’t find any more firm bits. The warming tip (a few comments up) sounds really smart too. I vote yes to finding a pita bread. Instead of hand-chopping it, run it through meat grinder. Got a similar recipe from a beautiful Venezuelan with Lebanese background. She added toasted pecans to the mix. Takes it to a richer level. Also, I’m from Houston and we try to avoid the oven during the summer (when the wonderful eggplants are in season) so I made this by roasting the eggplants, whole, on the grill… And I learned that if you don’t prick the eggplants with a fork several times, they will explode. What a mess. Love a smoky eggplant dish. I usually use Sicilian eggplant (aka berga eggplant) that I find at Farmers’ markets here in DC. They’re one my favorite varietals of eggplant. Have you tried them? Definitely the best technique for making moutabal! I will say, baba ghanoush is actually usually eggplant with tomatoes and sometimes peppers (not walnuts!) however, the different terms baba ghanoush/moutabal can vary widely depending where you are. Even Arabs sometimes have to clarify whether they mean the one with tahini or not, depending on where they are from. Moutabal is also just used as a generic term for dip. One note on the pureeing part. I usually do it by hand, but if you have eggplants with particularly large bitter seeds, then you need to remove all them. Sometimes if I’m lazy, I might scrape everything into a food processor (never never a blender) and just do one or two pulses (really that’s all!) to bring it together. Hope that helps! This sounds and looks wonderful! I’d never have thought of charring it directly on the gas flame, but the outcome looks great! Our friends who are immigrant Palestinians taught me how to make this about a decade ago. They called it baba ghanoush and the ingredients and method are virtually identical to yours Deb. Thus, I’m gonna continue calling it baba ghanoush cause their name for it is good enough for me. I would love to see your Indian Flatbread recipe. The other night I made Cook’s Illustrated Indian Flatbread (Naan) recipe from their May 2012 magazine. That might be a good place for you to start. I did not find it particularly easy to roll out. Nonetheless, compared to store bought, it was much better! When I lived in Egypt, this dip was called Baba Ghanoush by everyone who lived there, and when my husband lived in Israel, they also called it likewise.Maybe it varies region to region, but however it is called,it is delicious. The dip you mentioned as the true Baba Ghanoush sounds like the Muhammara ( spelling varies) that I had in Syria, and it is amazing! But instead of tomatoes, it uses a slightly spicy pepper called the Aleppo pepper. In America you can get dried Aleppo pepper flakes from Penzey’s, and we usually use that with roasted red peppers for volume. Sometimes we use a little cayenne pepper instead. It really is the most amazing dip ever, especially with lebnah on the side. Very thorough! I am quite familiar with the city and frankly, have not yet fallen in love with Brooklyn as a place to live (eating and going out…getting there), though I have friends slowly making the move. Yes, if you’re going the PS route, options are limited. Oh, NYC. And still nothing like it. When I want to char eggplant, I first wrap it in aluminum foil and then put it on the burner. It gets black and smoky this way, but also cooks on the inside. This minimizes steps and clean-up, as all the juices are retained in the foil until you are done and unwrap the eggplant. Thank you! I love the tip about Baba Ganoush and thank you for sharing a vegan recipe! Probably my favorite thing in the world is Romanian eggplant salad (the way my Bubbie used to make it, of course). I mention this because it uses a similar charring technique; if you’re not cool with your stovetop getting messy (it tastes best, yes) there are even some alternate options: broil under a gas broiler then transfer to the oven. Or even more alternatively, barbecue over a high flame, roll it a couple times so all sides are covered, then slide over to the cool part of the grill for the indirect heat/baking part (no mess, hooray!). Anyway, same idea: char, bake, cool (drain any water), scoop out the delightful white flesh. The main difference between the dip-formerly-known-as-babaganoush and this Romanian eggplant salad/dip is what you add to it: no garlic (gets intense and stinky, like you noted), just some vinegar, salt and olive oil. When it’s cooled and you’re ready to serve, top with chopped red bell pepper and/or chopped tomato, sometimes some green onion. Now, where was I going with this? Oh, yes. The desired texture. My bubbie would only mash with a fork; a blade never went near the thing. Even though you kind of pick around the big patches of dark seeds where little meat resides, the remaining seeds (like all eggplant seeds) are kind of bitter, so that’s why blending or pulsing is a no-no. I think raw cashew butter would be the best sub for tahini. prepare eggplant as SK directed. chop up a tomato, red onion, green pepper, parsley. add s&p, a little lemon juice or vinaigrette. Can I ask where you got that wood cutting board? I’ve been eyeing it in your posts for a while now, and mine (maybe bamboo?) is dried out kind of beyond the help of waxing it. Also thanks for the lesson on what I, too, thought was baba ghannoush! Can’t wait to confuse my friends with the new name. Tessa — Yes, I’m completely obsessed with it, as you might have noticed. It’s a black walnut cutting board I bought from Quitokeeto two months ago, a store run by Heidi Swanson of 101 Cookbooks fame. Definitely an investment piece, so I’ve been treating it with a lot of care. At least while it’s new, I find it needs to be oiled often. I was using a homemade spoon butter that was thick and waxy (probably close to the one she recommends, although mine was a gift from a reader that didn’t include ingredients) but now I’ve switched to Boos Mystery Butcher Block Oil, which seems to soak in better and not wash off as easily. This is my first wooden cutting board in 5 years. I can’t stand the way they pick up smells (I threw all of my old away when pregnant and hypersensitive to smells in 2009, I was losing it) so I’m trying not to cut onions on it, or if I do, washing it immediately. I totally just made eggplant dip in a zombie-like state at, like, 6 a.m. this morning. Then a friend sent me a link to your post and wow—I can’t wait to try this! AND I like it even better than the bottle of oil; it sinks in better. After salivating over this recipe, I skipped over to check out the eggplant caviar because all I want to eat in late summer is eggplant. In our area, we can get nice Asian eggplants–Chinese and Japanese–that are smaller and thinner. Whether it’s because I’m lazy or simply like the sweet (versus the smoky), I roast the eggplants with whatever else is on hand–onions, tomatoes, garlic bulbs, peppers. After they’re roasted into a lump, I mix well, add some acid, and sometimes a little bit of Asian garlic chili paste for heat. Thanks for these additions to my eggplant rotations!! in my country, macedonia, we call this dip maligiano. it is usually made with a wooden mortar and pestle to achieve not too smooth texture. Congratulations on the move and your new place sounds great–am jealous of the 5-burner stove. I suppose this means we won’t see pictures on the speckled black granite counters anymore? I’ve always loved that look with your photography, although I suppose it will be good to change it up (the wood table photos look really cool–nice and warm). Is Israel this would also be called “Chatzilim”. If you dont have tahini you can easily substitute it for mayo and it is still delicious. Just let the eggplant cool a bit before adding. You can also roast the garlic when roasting the eggplants. Or cook the eggplants in the microwave. It doesnt have the same smokey flavour but it is delicious nevertheless. Thank you Smitten Kitchen for yet another bout of inspiration! I am going to make this today. YUM! This looks just amazing. I am going to make this and roast the eggplants on my burner! You’re a genius. I Love all your recipes. I want to make this dip but my question is what else can I dip instead of pita chips that would taste great and be healthy? I love your blog…your writing, the pictures and the recipes – JOY !!!! I use an iron cast wok to char my eggplants over a high flame.The curved form does a great job and my stove stays clean. Opened up lenghwide on a plate, drizzled with lemoni tahini sauce and pommegranite seeds – looks cool and tastes great !!!! I think the definition of baba ganoush is debatable, as is the spelling… In Ottolenghi’s book Jerusalem, there is no mention of pomegranate molasses, walnuts, or tomatoes. The recipe varies not only from region to region but family to family. I’ve been in my apartment for over eight months now and am still morning the loss of my old kitchen – counter and cupboard space for days! Someday my new kitchen will feel like home, right? This dip looks fantastic! I’m not a fan of humus, so I get my fill of eggplants dip whenever possible. I just made this dip yesterday and it was so much better than my last foray into making a baba ganoush-like/eggplant based dip. I wish I would have let it char more (I got too nervous about starting a fire), and since I only had 1 eggplant, I halved the recipe, which halved easily. I chopped it by hand, and it has the perfect texture! Thank you for sharing yet another fabulous recipe. 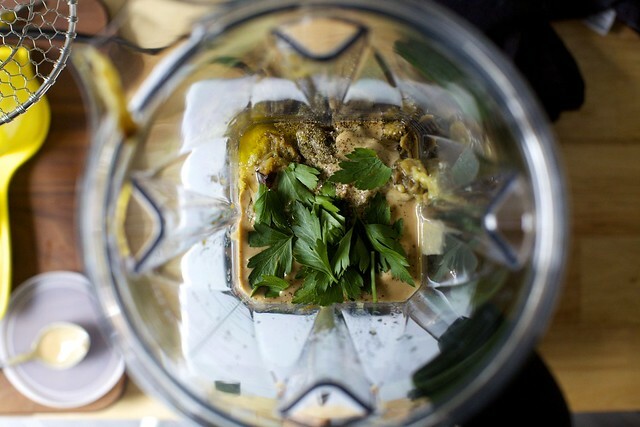 Checking back in about the tahini separation – The can I had was behind scraping up with a fork, so I took another commenter’s advice and threw the mess into my Kitchenaid mixer. I just peeked at it, and, several days later, it’s still mixed up. Thanks, all! I enjoyed reading about your small kitchen as I too live in an apartment (but in San Francisco) with a galley sized kitchen space. I recently purchased my own stove as I do love to cook and bake. Love the recipes on your site and especially love your comments and sense of humor! Just finished making the recipe, I put the eggplants out on the grill to get totally charred. The dip is easy and delicious, but I think my garlic cloves were too large because the dip is very garlicky! Good, but strong. I’ll remember to only use one clove next time. I made this for a Friday evening gathering of friends and cracked up when someone said “oh, this is Baba Ganoush” and I said with all certainty “no, actually it’s Moutabbal”, as if I was the Queen of Eggplant or something. Hold on a second, I thought I didn’t like Eggplant? Guess the Queen was very wrong! What is a good brand of tahini? I’ve had trouble finding something that’s not bitter and often find it ruins the whole dish (hummus, baba ganoush, whatever). Mary — I like the joyva brand but tahini is naturally a little bitter. I haven’t tasted around to find one that was less so — perhaps a paler, less toasted one would be less bitter? The authentic way to do it is with a fork, the food processor ruins the texture imho. Hmm…maybe my medium eggplants were on the small side, but the tahini flavor overwhelmed. I think I’ll use half the amount next time. I come from a Lebanese/Syrian family and everyone going back to “the old country” (as the older aunts call it) refer to this dip as Babba Ganoush. The recipe looks pretty close to what I’m used to though! Such a yummy recipe! I’ve made it on the grill and on my gas stovetop and stovetop wins (the dip turns out smokier made on the stovetop). Though, I found when I grilled the eggplants I didn’t need to roast them after because they were already so tender. Achva is a nice Israeli tahini, it’s also sold in the US. Kalustayn’s house brand is great too. I had no idea that pomegranate molasses even existed! We all learned something from this one! Thanks for the idea! I’m off to get some eggplants. This. Looks. Amazing. And thank you for the education about the various roasted eggplant dips! Who knew? (Everyone but us, apparently.) gorgeous pictures, as always. Re: tahini cement, I don’t bother mixing. Just scoop out some of the cement and then add the oil in reasonable (eyeball) proportion. Hasn’t failed me yet. I didn’t have parsley on hand, but i did have nice fresh oregano from the farmer’s market. A lovely herb swap, nice and peppery and fresh! Mmm moutabal. I learned to love it and make it in Jordan. I do all the cooking over the stove until the eggplant is a collapsed, charred mess. The trick for more smoke is to leave as much as the brown char on as possible- it’s easy to rip off too much while taking off the skin, leaving behind the less tasty white. I stir in a dollop of yogurt, and I love how garlic can lurk underneath the smoke and then stick with you all day… Topped with pomegranate pips, it’s my favorite thing to bring to a party. I think I’d prefer this with half the tahini – maybe my eggplants were more ‘small’ than ‘medium,’ but it tasted like a big bowl of tahini. I come from an Arab background and we use a potato masher to get the consistency right. Much easier than using a fork. I think we’ve all been in the dark about the baba ganoush debacle—I too thought that’s what it was called. Either way, this dip looks dang good! In Greece we call it ”Melitzanosalata” but we add some smoked peppers also and optional a ilttle bit feta (and skip the salt). I have been meaning to make a dip like this FOREVER, and your recipe turned out perfectly! My new favorite lunch: wheat toast spread with smoky eggplant dip, a sprinkle of sumac & za’atar, slices of cucumber and a few slices of smoked salmon. Amazing. like many middle eastern foods, there are a lot of regional variations, so i suspect the version of baba ganoush with the pomegranate molasses is specific to certain countries in the region. other versions call for yogurt, or cumin, or tomatoes. my lebanese grandmother only ever made baba ganoush (and only ever called it that) with the fire-smoked eggplant, tahini, garlic and lemon (LOTS of lemon). So I just made this dip last night – it was delicious!! I have a weird problem that happened, though. I pulled it out of the fridge today and it congealed! I’ve never experienced this, and not sure what could have caused it. It was like day old gravy – weird and gross. Any ideas? Cheryl — Maybe from olive oil? I have seen that some solidify in the fridge. Or it could just be the tahini re-firming, though it sounds like it was more thick than that for you? It should be fine when you warmed it up, right? Deb, I have found that adding 1/2 to 1 teaspoon liquid smoke will solve your problem. I BBQ my eggplants and I still add liquid smoke. The flavor is wonderful. Just to add to the yay-sayers: you were right in the first place! 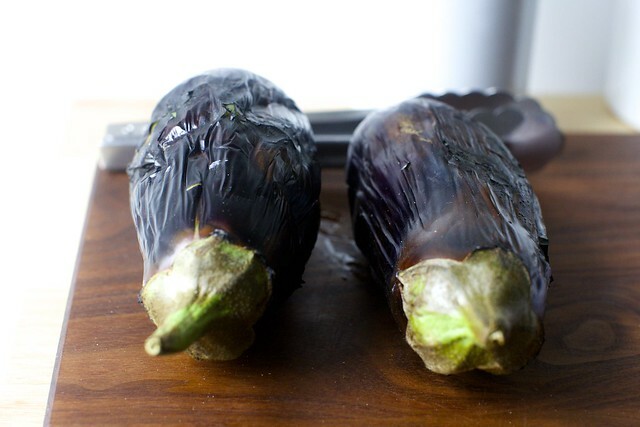 Your eggplant dip is called Baba Ganoush in Lebanon, Syria, Egypt and maybe a few more. Other Eastern Mediterranean countries call the same recipe Moutabal. The sauce made from walnut & pomegranate molasses is Muhammara and there is a great recipe in one of Heidi Swanson’s books and – thinking about it now – which I should make again soon. It is delicious. Have a nice time getting used to the new flat, when all seems shiny and new and (at one point in the near future) tidy. I love those moments. Whoa! Historically not a huge eggplant fan, but I had a couple lying around so I made this dip. It is so good! For any interested, I prepped the eggplant through the roast and then tossed it in the fridge, then finished the dip two nights later when I had time/wanted to eat it (the roasted eggplants let off a lot of liquid in the fridge, which I imagine led to an overall better end texture). I used the finely chopped eggplant method, which leads to a lovely smooth texture after it is mixed with the remaining ingredients. My daughters (7, 3) and i literally inhaled this for dinner with nachos last night. Thank you. I grew up with my fresh off the boat Egyptian grandmother (Teta), who cooked for the family. In Egypt this dip – roasted eggplant with tahina- is called Baba ghanough (with a hard ‘g’ sound), not mutabbal. To echo what others have pointed out, the regional differences are many. So, you were not mistaken all along. The only mistake is to assume that there are cut and dried definitions or recipes for any of this. And Deb, I fully support the pita recipe. If it helps your research for an awesome or unique recipe, PLEASE look up Sangak– it’s an awesome whole wheat Iranian flatbread with a za’atar type of seasoning on top. We picked a sheet up from a nearby bakery (where it’s sold in dry cleaning bags!) and ate this dip on that, pinching the dip with the flatbread, as seems appropriate for this dish. Thanks for a fun and interesting new recipe. I cannot wait to make this. As someone who cannot turn down buying bushels of eggplants at the farmer’s market when it is only $3 (?! ), this is an excellent recipe to justify my madness. Your rave reviews of My Paris Kitchen make me want to go out and get it! I trust all of your cooking recommendations, as I know you only get and create the best. The five-burner stove is amazeballs. I live in an apartment with a minuscule kitchen so I would double over in excitement, too, if I got a new place with an extra burner. Guess you just have to whip up even more fabulous recipes! This looks like a great dip to adapt to fire roasting with eggplant. I look forward to giving it a try. This looks so delicious and unique! O my I just made this and like you, I thought I wanted to make Baba ganoush! This is what I have been meaning to make all along! It turned out heavenly. I used my hands and finally got the texture i was going for too. I am in love :) Thank you for this! you have made my day! Incredible on my first try love your site thank you very much you give me happiness. This is wonderful. I’ll be honest, I didn’t really follow the recipe exactly and mostly just used the ingredient list and techniques to find proportions that I liked. I can imagine there are few ways this doesn’t taste awesome. We also made your hummus (peel those babies!) and some fresh pita and had a big, cold summer supper. That’s the same brand tahini I use as well. I always submerge the can in a medium mixing bowl full of SUPER hot water. It loosens it up nicely and makes it easier to stir! This is definitely one of my all-time favorite methods. It is a classic in my (turkish) family, and you don’t even have to transfer it to the oven. Just make sure that you line the stove top with aluminum foil, and then just burn the hell out of the eggplant (and by that, I am very serious)! I actually like the eggplant not chopped finely but left a bit chunky, that way you get more of the smokiness of it. Also, ottolenghi has a recipe of burnt eggplant with red onions, yellow peppers and mint. With all the colors, it looks festive at the end. 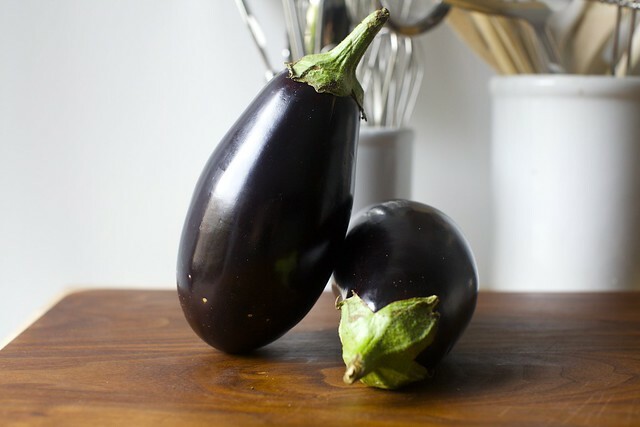 This is my first ever visit on your blog and while scrolling down those eggplants caught my sight and I was like “hey I gotta check this one” (I just loooove eggplants). Thank you for the inspiration. I’ve wanted to do this from David’s book and then forgot about it until I saw your post. Too much eggplant from my CSA and the rest is history. I did mash with a wooden machacadora, a bean masher, from Mexico and the texture was perfect. I think maintaining the slight sponginess of eggplant is key. Thanks for the constant help! This came out fantastic. I blackened the eggplant under the broiler of my electric oven, and it didn’t take on as smokey a flavor as I would have liked, so I added a few dashes of liquid smoke. Worked like a charm. Lauren – I wasn’t going to admit it, but I use that trick all the time!!! i rarely get the smokiness in the broiler, but on a gas stove grate usually does the trick. Having a decent exhaust system helps too, and frees you up to really get a good char. I tried and failed miserably at making smoky eggplant dip a few years ago. This recipe was wonderful. We gobbled it up. It was delicious! I love your site and have your cookbook but have never posted before. I was randomly looking for something that caught my interest tonight and love eggplant and ghanoush (I know I know I will have to learn that new word) and thought I would try this… I have made it before but never loved my results. Turns out charring over the gas flame worked great for me (I do a lot of Mexican cooking so I don’t fear the flame) and I got my eggplant nice and charred. The skin peeled off easily after the roasting (I think this worked in part because of the good char, the skin basically separates) and the final product is very delicious. I will be making this again and again. Just tried this today. It’s delicious! Thank you so much for posting this recipe. This is delicious with the baked chickpeas and tahini yogurt with pita chips! A Mediterranean platter of yum. I made this for a party at which I knew there would be vegans and a true gluten intolerant person. Everyone said it was the best they had ever tasted! I recently got gas installed in my house and immediately bought a gas stove, so I love the idea of cooking anything over a gas flame. Novelty aside, it was the best baba I have ever made. (sorry, I have to keep calling it that. Everyone told me moutabbal sounds like matzo ball, lol) I did also roast the garlic. I also followed a reviewer’s suggestion to sieve the seedy parts. A few seeds got in anyway, but it was so much less bitter, and so wonderfully smoky that I am making it again tonight for me and my hubby. Yum! I want to tell you about a slight change I made to this recipe that turned out really delish! I do farm stand cooking classes, at a farm in Yorktown, Hilltop Hanover. Yesterday they harvested nadia eggplants (black ones) for the class and I wanted to do an eggplant dip. I found this recipe and decided instead of 2 lbs, I would use 1 lb and 1 can of chick peas. We popped the skins off, as you previously suggest in creamy hummus recipe, and blended. It turned out to be quite wonderful. Everyone loved it. We used thick slices of cucumber (also harvested) to dip. I think the next time I am going to try adding smoked paprika and maybe lime juice. thanks! I’ve made this 4 times now – and will make it many more. A new family recipe. Thank you. This is really delicious! Much much much better than store bought ghanoush. I am very impressed. Just made this and wish I would read more of your notes. I puréed it in the blender and it’s pretty thin. Next time, I’ll skip the blender. Great way to use up leftover eggplant, easy to make, too! Thanks. I came for the tomato cucumber salad recipe ;-) soooo many tomatoes this season and we’re gazapacho’d out … any suggestions ? Thanks ! Shelwyn — Check it out here. Made it tonight – so delicious! Did by hand – perfect texture. My question is about the seeds… After roasting, I sort of scraped most of them out because I wasn’t really sure if they belonged? Thank you! MJ — I leave them in, but if they bother you, you can scrape them out as you did. A potato masher (not a ricer – a hand masher) is a good tool – it isn’t as brutal as a blender but quicker than hand chopping. I also roast the garlic with the aubergine – don’t peel, just throw in the pan then squeeze out the soft creamy contents into your mixing bowl. Love “baba ghanoush” and happy to learn the correct name! So, I love all things smoky but I’m doubting that the eggplant flesh will take on a smoky flavour from just charring the skin without actually chopping some of the skin into the dish. I have a smoker and might try smoking eggplants but even then I think it might take a long time for the smoke to penetrate the tough skin. So I guess what I’m asking is the smoky flavour quite subtle or stronger? Not as strong as it would be over a smoker or charcoal grill, but the best flavor I’ve pulled off indoors. This was divine. I did use the blender. Just a few pulses created the perfect consistency! Hey, try letting the minced garlic sit in the lemon juice for 15 mins before you add it to the ba– moutabbal. Can I make this with Chinese eggplant (the long thin kind)? I made this last night and it turns out I don’t love the tahini — I guess the Greek girl in me prefers the Greek version (melitzanosalata). Next time, I’ll do everything the same and just skip the tahini. Thanks for a solid recipe to jump from! Made this yesterday, charred the eggplant on the grill. It’s even better the next day. I only used one garlic clove, and its still has quite the garlic zing to it. Topped with a little olive oil and za’atar. Delicious! How is this not baba ghanoush? Is it the cayenne? Super delish! I added extra lemon juice and parsley, as well as a ton of smoked paprika. YUM! This is incredible. I used less tahini b/c I find the flavor overpowering. But didn’t change anything else…didn’t need the blender b/c the eggplant was so incredibly tender. DELICIOUS! i made this tonight and it was the bomb! i took your advice and just rough chopped it and it went over well. looking forward to eating it tomorrow, too! thanks for the great recipe. I have made this a few times. I do everything by hand (chop parsley, mince garlic, etc.) and it turns out great. The last time we had it alongside the green beans with almond pesto and it made for a nice summer meal. The leftovers were delicious on a cheese and veggie sandwich. Just made this today after getting a 5/$1 deal on the long, skinny eggplants at my local farmer’s market. I hand-chopped the eggplant, but when I blitzed the tahini, lemon juice, garlic, and parsley in my mini food processor, it ended up so thick that I couldn’t just stir it into the eggplant. I decided to add in half of my eggplant to the processor to loosen things up, and when mixed with the remaining chopped eggplant the texture was perfect! Love this recipe so much! Great recipe. I added a touch of smoked paprika since I had an eggplant dish with it once and loved the flavor combination. Thanks! I’m thinking about making this dip ahead of time for a party. How long will it keep? I’m now at the point in my life when I want to make something, I google smitten kitchen and whatever I want to make. Today it was baba ganouge and she didn’t disappoint. Loved it. Easy. Smokey and delicious. Thank you! I made this for the first time. Wonderful recipe. What about the eggplant seeds, though? Should you discard them before mixing everything? No need to de-seed eggplants, however, if you don’t like them, you can. I made this yesterday for a Sunday afternoon Mediterranean sampler! This eggplant dip was easily my favorite thing on the plate. During the food processing part I didn’t add the extra olive oil and I don’t think it was super necessary, the dip was mild and eggplant-y and delicious. Thanks! Yum!! This looks so delicious! I need to bring an appetizer this weekend and this is perfect. What veggies do you suggest serving with this? In summer I always throw an eggplant on the grill after the meat is done, for some kind of smoky eggplant dip. I love this technique for making it without the grill! I learned from Ottolenghi that draining the liquid from the eggplant — put it in a sieve over a bowl for a few hours or even overnight — makes it less bitter. Browsing thru your eggplant recipes found this about Baba Ghannouj . Moutabbal in the same as baba Ghannouj it is just the way people serve it with walnuts, pomegranate seeds, parsley, cumin, paprika and even hot chilies but the base is always the grilled eggplant plus the tahini mixture… another way to use grilled eggplant is in a salad where you add green spring onions, all diced tomatoes, cucumbers, green peppers, red and yellow pepper, and chunks of chili prppers with olive oil, lemon juice and pomegranate molasses.